There are 13 reviews of Gentlemen Only Casual Chic. Can come across generic but my nose loves ambroxan, which has been used overly to date. The spices help too. Cardamom, juniper, ginger...cooled down by the sweetness. All perched on a woody base. Spring/summer white dress shirt and crisp slacks or blue jeans. Initially I was going to give this a a thumbs-up, but I'm disappointed by the synthetic vibe here, and from virtually every designer brand fragrance I try. This does have some nice woodiness to it in a way. The best part is the juniper in the opening, but I don't like cardamon, so it was a love/hate opening for me. Now three hours in I'm getting a synthetic musky smell, which I don't dig either. I think I'm going to have to switch to a neutral rating...just not quite a bottle worthy frag in my opinion. A playful, youthful flanker of Gentleman Only. The pine and juniper notes really are nice, and it's not heavy and in your face. The cedarwood definitely mellows out the initial spices, and stabilizes with the subtle sandalwood in the base. Check it out! For me this is the perfect casual scent. Sunny spring and summer days, t-shirt and jeans. The initial blast of ginger in the opening is invigorating. After that I start getting the juniper, birch, nutmeg and a bit of mint. Then it starts to dry down into this fresh, woodsy scent with a tiny hint of vanilla staying close to the skin. Longevity on this is fantastic. It easily lasts all day. Sillage is decent. Definitely a warm weather, day time fragrance. I think it would work well as an inoffensive office scent. The opening’s cardamom is stronger than the ginger and the juniper / cedar screws up the spices in the accord – it would have been a better opening if the spices had stayed longer and the coniferousness had been delayed and reduced, because with the loss of the spices, the juniper and cedar present too much of a plastic, artificial character that I find quite boring. Things don’t improve with the base… I smell no sandalwood and the ambroxan doesn’t seem to be very amberish. 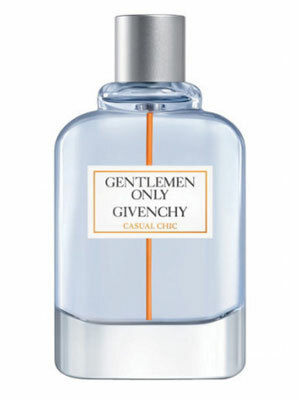 Not a very impressive fragrance, and like its progenitor, its chief crime is that Gentlemen Only Casual Chic is uninspired and dull. There are no member images of Gentlemen Only Casual Chic yet. Why not be the first?